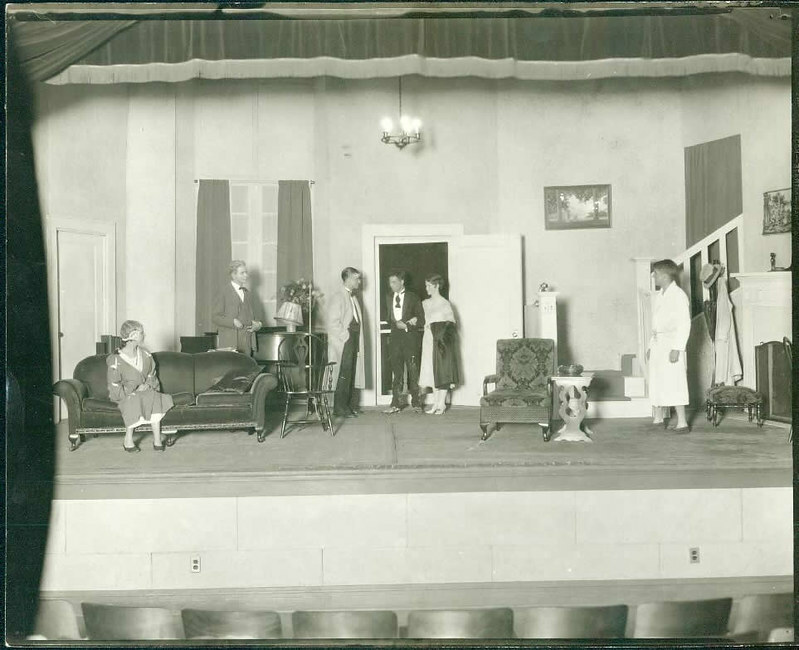 This shot is from 1935, not too long after Alumni Hall’s central hall was converted into the College’s theater. 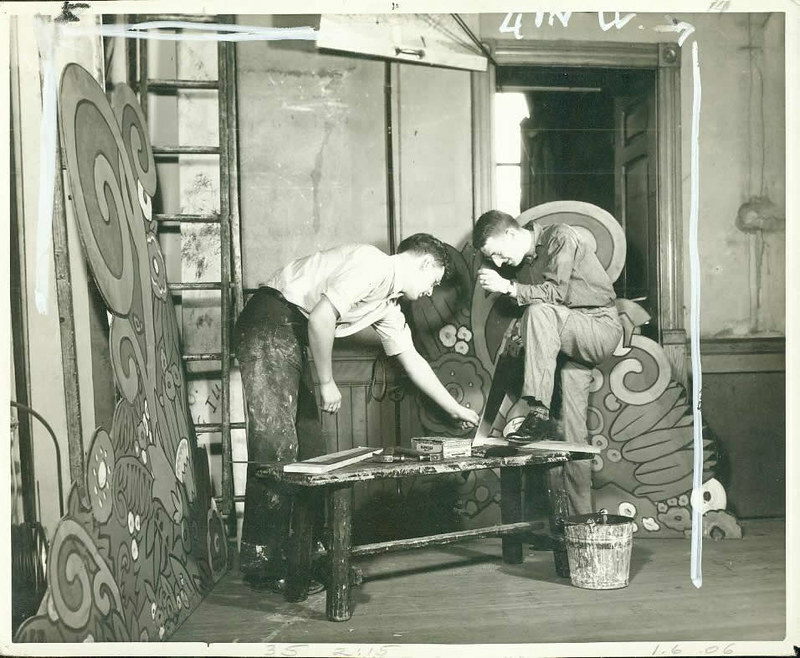 These two students are working on a set for that year’s production of Peer Gynt. 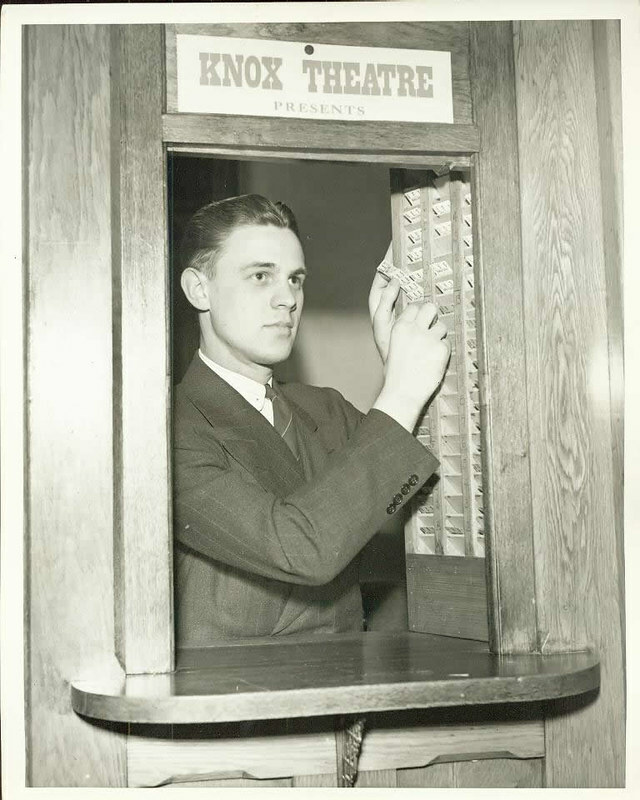 Student Howie Johnson is seen managing ticketing in the ticket booth for a Knox College stage production in the Alumni Hall theater in 1938. 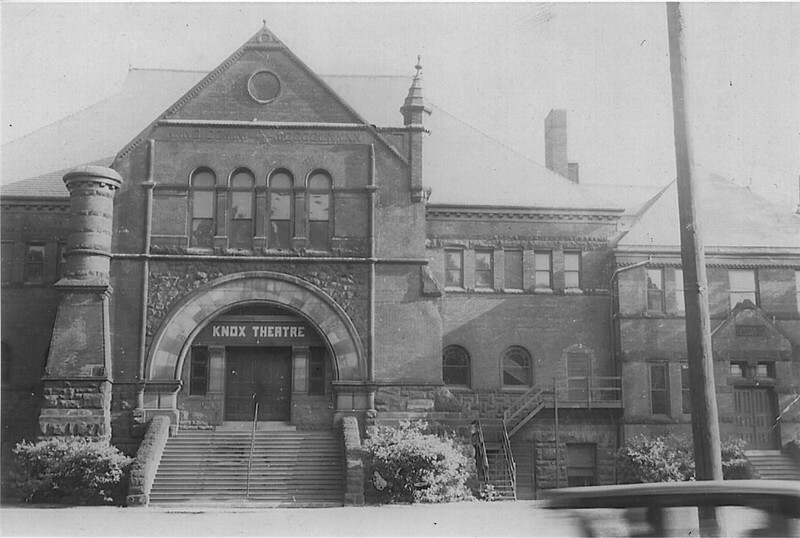 The theater had two ticket windows by the main entrance.